Several years ago I started going to Nashville to have demos cut of the songs I was writing. I knew my old friend, Mark Allen, a great musician had moved to Nashville. Mark had owned a studio in Atlanta. We had met when I was recording some tracks with Eddie Terrill. Mark got me involved in Derek St. Holmes’ “Then and Now” project a few years earlier and we had stayed in touch. Mark always referred to Nashville as NashVegas. I thought it was hilarious. I had started writing country music, was going to Nashville for writing camps and demo recordings. It was only a matter of time before the concept of NashVegas and a song would come together. I remember the song coming easily. It’s a pretty simple story written in first person. The protagonist is from the back hills of Tennessee, Jefferson County. I remember researching the smallest county population. Turns out, as I found out later, it’s where Cam’s aunt Jinx lives. The protagonist never thought he’d leave home, but he learns to play guitar and sees the possibility. He quits his job, packs his stuff and moves to the big city. He gets to town and finds a job working for change. In the video he is singing on the streets, a busker. In my mind, originally he was playing one of the many bars in Nashville where the musicians play for tips. He gets an offer to go play on the road, something most musicians moving to Nashville are hoping for, and he takes it. The hero meets a big star who offers him cash and a record deal. He never looks back. I had the basic idea for the video, but Donny Maness, my videographer, and I usually just start shooting and end up with just what we need. I was doing some investigation on shooting in Nashville and called about a permit. It took several offices before I got to the right person. They’re all very nice and it’s not a big deal. I think it was $35 for the day. They would provide police to manage crowd control and insure no one got hurt. Great! But they added I needed insurance. The problem is you can’t get insurance for the day. It’s basically an annual policy costing over $300. Not in my budget. We were going guerilla! No permit, no insurance, no assurance we wouldn’t be arrested. What fun! Jesse He was not only willing to let us shoot in his club; he had an antique Cadillac, “Ruby Ann”. Lucky for me he didn’t know anything about the Tennessee Cadillac Club or their car show. Not only would he bring Ruby Lee, he’d drive her! Two birds, one stone. We were ready for Nashville. Oh, there’s another glitch? The day before we leave? Of course! We were using an actor to play the hero. Donny had someone lined up. He knows everybody in Gordon County and they all seem to have acting experience. But Donny’s guy has bailed. Donny tells me not to worry. I don’t. Donny always comes through. I meet Austin Olson, the actor, on my way to Nashville. I don’t know who Donny had lined up, but Austin did an awesome job. Donny, Joey – Donny’s business partner, Austin Olson and I head to Nashville on Friday night, check into the hotel, get a bite to eat and head downtown to shoot some video. Rain? It’s not supposed to rain, but it’s raining. Luckily, there are awnings in front of most of the stores on Broadway so we get some good shooting in. The rain slacks off and we get some good footage at Robert’s and on Broadway. I thought we might lose Austin to all the ladies (young and old) who thought he was an up and coming country star! The next morning we’re up and at ‘em again. Over to the famous RCA Studio B on the corner of Music Square and Roy Acuff Drive; Broadway; Gruhn Guitars; the Old Ryman Theatre. Outside the old Ryman we shot a lot with Ruby Ann, Jesse Lee and Chuck/Elvis. We basically camped out there for a couple of hours. A crowd of 100+ watched on. We had a blast with folks from all over the country. A local TV station took some video of us. No police though. Don’t ask for permission; ask for forgiveness was the theme of the day. Interestingly, nobody asked a single question. We had finished at the Ryman and were headed back to Broadway for some last shots. You’ll note the wad of cash Elvis has for Austin in the Ryman shots. It was 2 stacks of one’s, a hundred dollars. But to make it pass a closer test I had put hundred dollar bills on the outside of the stacks. $500 is a lot of money, but nothing close to the $10,000 it looked like. As we had finished shooting I put the cash in my back pocket. As we started down Broadway a guy came up to me and whispered, “Excuse me, but your money is hanging out of your back pocket.” Translated as, “are you crazy? There’s $10,000 hanging out of your back pocket! !” I love country music fans!! Honest as the day is long… and the night too! My favorite part of the video is during the choruses in front of the mansions. I knew we had to have those shots. We had shot Friday night, all day Saturday and were worn out, but we had one more round to go. “We need some mansions.” So we headed out towards Franklin. Big houses, but nothing was just right. We had driven 10 miles or more and there it was, across the street from a church. We pulled into the church parking lot, scoped out the situation, strapped on the cameras and guitar. We ran across the 4 lane highway and started shooting. I don’t know if anybody was home, but can you imagine that conversation? “Honey, there are men in our driveway with cameras and one has …. a guitar.” “Don’t go out there!” As quick as we were there, we were gone. Well a couple of choruses later. “I’m not sure that’s it.” I contemplated as I checked the map for another possibility. “I’ve got one more place.” I said. I had found the perfect location. I checked my phone and followed the map to a pretty exclusive neighborhood. Big houses, big lawns, big fences. “It’s up here on the right.” I drove past it slowly, turned around and parked in the yard across from it. “What’s this?” “The Governor’s Mansion!” I said proudly. “Well I guess it’s time we got arrested.” Donny sighed. No arrest, great shot. and check out Track 3. 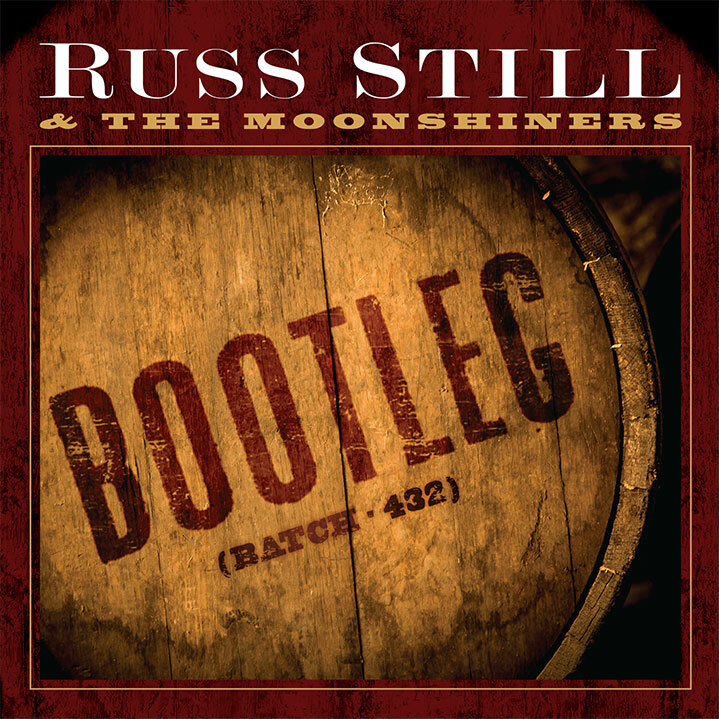 You can buy the whole CD there or buy the song on iTunes under Russ Still and The Moonshiners. Here are the lyrics to NashVegas. I hope you enjoy it. Enter your name and email address below so I can send you 3 of my favorite songs as well as access to the video for, "Walmart Parking Lot"! !